2 years & up. 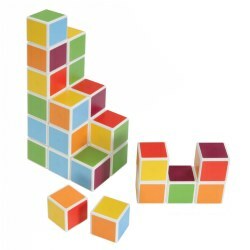 Everything you need to create a block town! 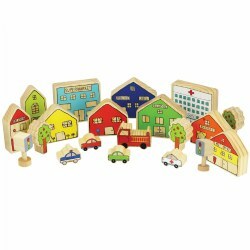 This 20-piece wooden set includes ten community buildings and homes along with vehicles, trees, and stop lights. 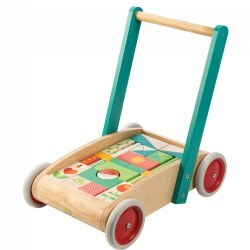 The hospital measures 4 1/4"H x 4 3/4"W x 1 1/4"D.
18 months - 5 years. 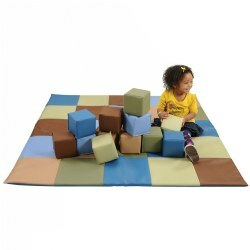 Perfect for indoor or outdoor play, Each block is easy to fit together. 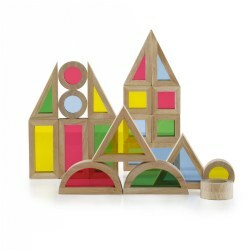 Each set includes square blocks, both solid and see-through, as well as triangular blocks for corners and pointed roofs. 12"L x 12"W x 2 1/2"H.
2 years & up. 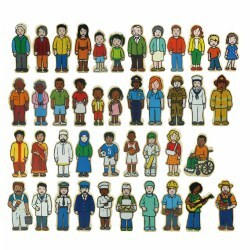 This set of 42 high quality wooden figurines include community workers, athletes, musicians, and people of varying ages, cultures, and abilities. 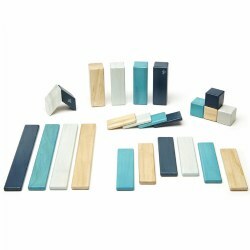 The figures measure approximately 2 1/4" to 3" high. 12 months & up. 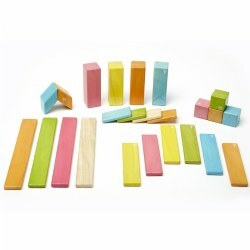 This 27-piece set offers a variety of colorful magnetic blocks that allow children to utilize their fine motor skills and bring their building ideas to life through cooperative play. 2 years & up. All aboard! Your little conductor will have will have a fun time on this railroad with the Waffle Blocks Steam Train! 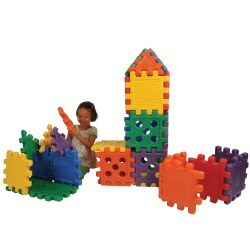 Connect the Waffle Blocks to build a 3D train track, train, station, or anything they can imagine. The possibilities are endless! Features real steam and train sounds, and comes with 12ft of track. 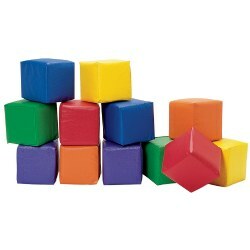 Compatible with other Waffle Blocks sets. Requires 3 "AA" batteries (not included). Includes: 171 Blocks, 4 Buddies, 2 Animals, and a Storage Bag. 18 months & up. 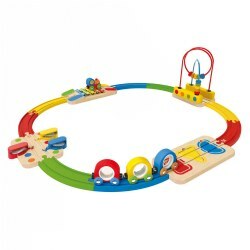 This musical train track has a xylophone bridge and a tambourine valley. 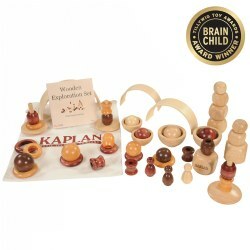 Compatible with other wooden track sets. 9 months & up. 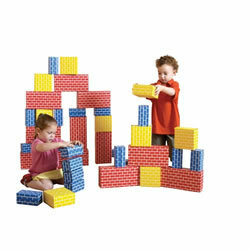 Toddlers can stack, build, and create with 12 soft, vinyl-covered 5 1/2" square blocks!